Log Cabin stays in the Great Smoky Mountains of Tennessee. 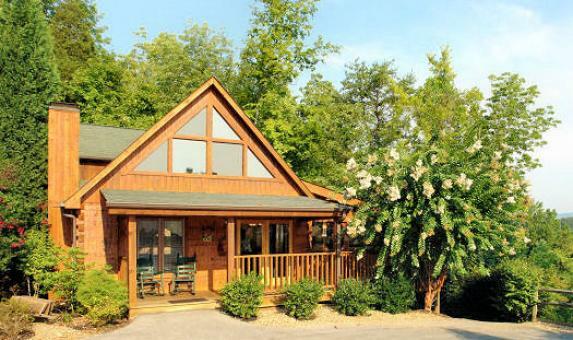 The Oak Haven Resort & Spa is situated in the foothills of the Great Smoky Mountains at Sevierville and offers a choice of superb log cabins – each with their own large hot tub - sleeping between two and 14 people. The scenery is breathtaking and the resort – ideal choice for a family holiday or romantic getaway – offers a range of facilities including pool, basketball, fitness centre, nature trails and a luxurious spa offering a wealth of pampering treatments. The resort is within an easy drive of the 125-acre Dollywood Theme Park – one of the world’s finest theme parks and home to 40 thrilling rides plus live entertainment – and lovers of the ‘great outdoors’ can enjoy country pursuits such as fishing, walking, riding, rock climbing, go-karting and mountain biking. Guests also enjoy reduced green fees on some of the area’s finest golf courses and the shopping is great too…the area offers endless opportunities with hundreds of factory outlet stores, as well as craft, souvenir and gift shops. Why not consider a combination of a cabin stay in Tennessee and a tour of the Deep South ? 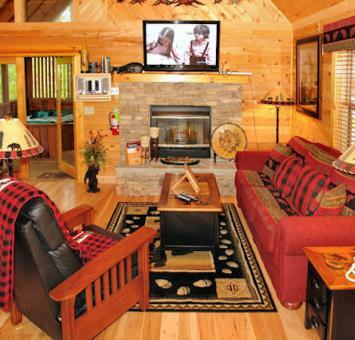 Call Bon Voyage to book your log cabin stay or to discuss your holiday options around this fascinating part of the USA.